Welcome to PlaceMakers Le Race! It's less than 4 months until PlaceMakers Le Race and with the warmer weather coming we hope your training is going well. The kit for 2016 is now available online so click here to order yours today so you look the part on the start line! Next PlaceMakers Le Race is taking place on Saturday 19th March 2016 so CLICK HERE to enter now and don't forget to mark it on your calendar - we look forward to seeing you on the start line! 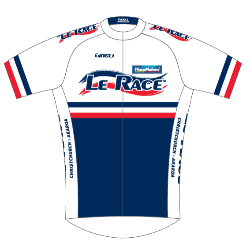 PlaceMakers are proud to be partnering with Le Race and look forward to being one of the bunch racing with you from Christchurch to Akaroa next March . 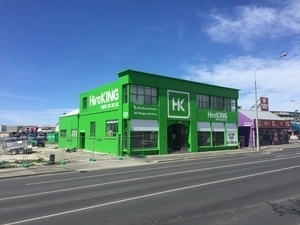 We’ve been supplying building materials and hardware in the Canterbury region and across NZ for over 30 years now, so pop in and see us for that next big job you’ve got coming up, or those summer projects you’ve got on the go in between your training for PlaceMakers Le Race. We look forward to seeing you in store or at the start line! ŠKODA, our official vehicle partner, have just launched the highly advanced, all-new Superb. With extra space and comfort, enhanced safety, enriched connectivity, higher specification levels and a dynamic new design, the all-new ŠKODA Superb takes a quantum leap forward. For more information, and to book a test drive, click on the image or visit www.skoda.co.nz. We are very excited to announce PURE Sports Nutrition as the hydration partner of the 2016 Le Race. 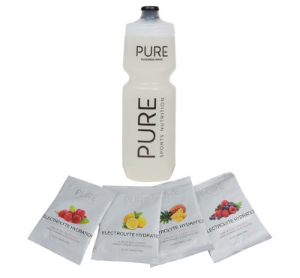 Pure Sports Nutrition was created to offer a high performing natural alternative to regular sports hydration. Flavoured with 100% real fruit (no fake stuff) and packed with all the essential electrolytes, Pure tastes better with no artificial sweeteners and formulated to be gentle on your stomach. To help you out with your training for Le Race we have put together a guide to help you select nutrition for training and race day, click here to have a look at our tips. Visit www.drinkpure.co.nz and like us at www.facebook.com/drinkpure for stockists and updates. 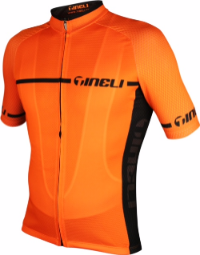 Introducing the latest release from Tineli just in time for summer, the Tangerine Jersey. Made of highly breathable Vent fabric in the body panels with aero waffle fabric on the sleeves and side panels all made to Tineli's famous highest standards of fit and finish. This jersey will help keep you cool on the longest climbs and keep you going fast by helping reduce drag. It is the top to be seen in this summer. Akaroa District Promotions welcome the cyclists again to Akaroa on 21st March. There are no cruise ships in Akaroa on Le Race day or on the Sunday so come and make a weekend of it! For the Akaroa web site go HERE for all your accommodation and things to do. For the Akaroa Facebook page go HERE. 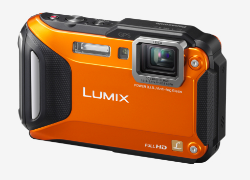 Win a Lumix DMC-FT6 Camera! HireKING has some exciting news! We have moved into our new branch at 30 Fitzgerald Ave. We extend a warm welcome to our friends participating in this year’s PlaceMakers Le Race, make sure you come in and have a chat to our friendly staff for all of your construction and DIY hire needs. You can’t miss our bright green building. Click here to visit the website. Fat Robot burst onto the scene 4 months ago and is going through it’s paces printing T-shirts and other types of garments at Christchurch based screen printer Screen Concepts. Screen Concepts realised that they needed a unique point of difference and decided to embrace new cutting edge print technology that was available out of Israel under the Kornit brand. Click here to visit their website. Welcome Back to the Team at Dole! Dole are delighted to be involved with Le Race again for 2016 and to provide our Bananas to all the athletes that register and cross the finishing line. Dole Bananas are the natural and convenient race food high in natural sugars, carbohydrates, Potassium, Fibre and Vitamins. Dole wish all Le Race entrants all the best for the hard training over the next few months, don't forget to put a couple of Dole Bananas in your pockets. Get Training with the Complete Performance Team! 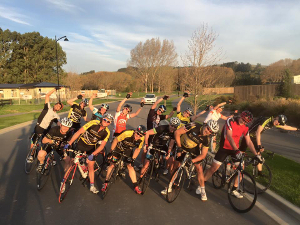 Complete Performance's super awesome group sessions have kicked off again with the start of daylight savings. They have a great coaching group that will ensure that you improve your riding skills, go faster, meet other cool people and have some fun along the way. 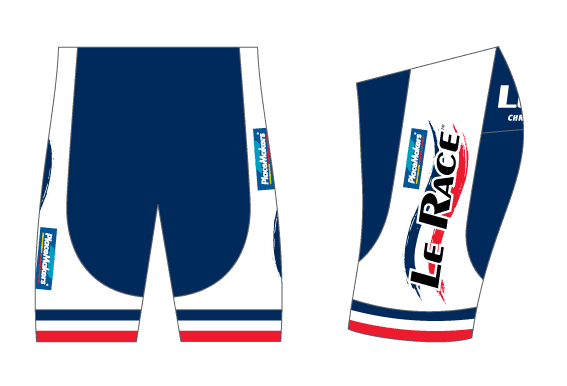 Get Your 2016 PlaceMakers Le Race Kit!